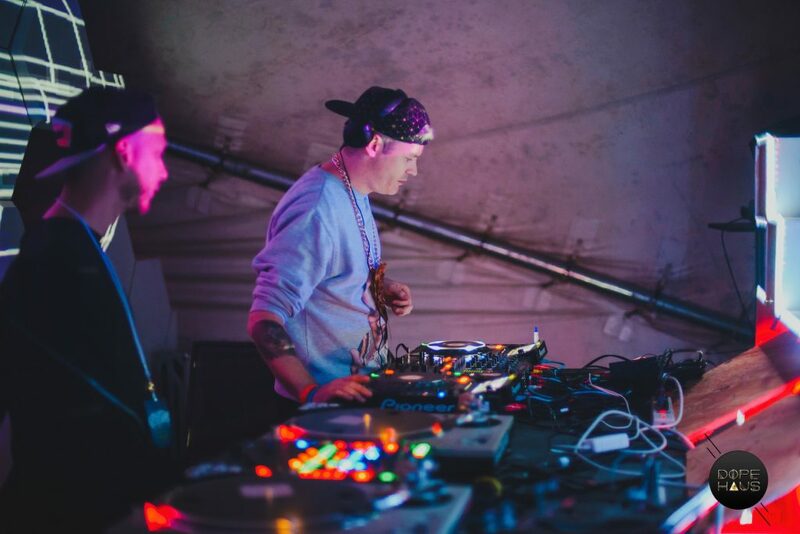 The Vancouver based production duo GREAZUS has a wealth of experience working with labels like Critical, collaborating with artists like Doctor Jeep and playing festivals like Shambhala. What’s their secret to success? DOPE HAUS press correspondent Jaclyn Adair caught up with halftime drum and bass producers Patrik and Severine about their group dynamic, new collaborations with artists and their label Aufect Recordings. At the time of recording, Aufect was working on releasing Doctor Jeep’s Dissociate EP. “That seems to be one of our stepping stones right now is working with as many people as possible,” says Patrik. Since then, GREAZUS has collaborated with BSN Posse, Sinistarr and Homesick among many other world renowned producers. Before Severine and Patrik came together as GREAZUS in 2014, they worked under their separate monikers as HxdB and DJ Cure. Jaclyn wanted to know, what’s it like working together on a project? Both Patrik and Severine share amazing advice for producers seeking to get in front of their favorite labels. Watch for it near the end of the interview. Catch GREAZUS at Shambhala 2017 and Bloom Nightclub alongside Sam Binga on August 16, 2017. Check out Aufect’s new release from Doctor Jeep – Jawbreaker EP.